Roll up! Roll up for the magical ‘Mystery Journey’! 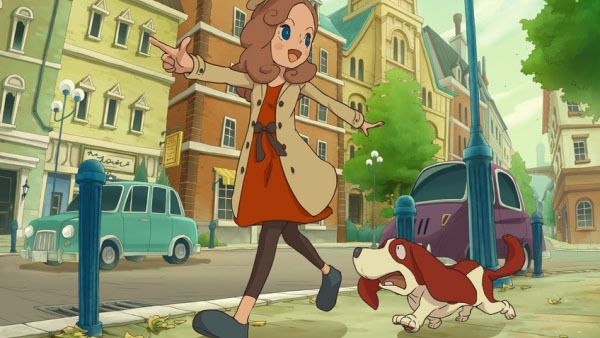 NEW YORK (CNS) — Parents looking to purchase a game that is safe as well as fun — for older kids and teens at least — can rest assured: “Layton’s Mystery Journey” (Level-5) fits the bill. The Professor Layton game series follows renowned British archaeologist-turned-brilliant-sleuth Hershel Layton as he travels the world solving crimes. Playable on smart phones and the Nintendo 3DS, and based on hugely popular Japanese puzzle books, the franchise already includes six direct iterations of the story and one spinoff. Now, however — as the latest game’s subtitle, “Katrielle and the Millionaires’ Conspiracy,” suggests — it’s Layton’s daughter, Katrielle, who takes center stage. Having sold more than 15 million copies, the series’ designers are turning to a younger generation of their fictional universe to keep things fresh. “Layton’s Mystery Journey” contains nothing offensive. While there are allusions to murder and to victims’ injuries, no violence is portrayed on screen. Where previous games featured a single, worldwide mystery, Katrielle’s adventure involves a dozen individual cases, all of which take place in London. The city is beautifully rendered with hand-painted backdrops. Aided by an assistant named Ernest and a talking dog called Sherl — as well as by the player — Katrielle pursues a lost film reel and a missing clock hand at Elizabeth Tower (home to Big Ben), explores a haunted house and tracks missing loved ones, among other puzzles. There is a larger, overarching mystery centering on the “Seven Dragons,” wealthy and secretive figures in the British capital who may not, in fact, be as nefarious as they initially appear. The final plot development is fun, rewarding and — no surprise here — hints that a sequel is already in the works. Innocent yet challenging, as well as graphically lovely, “Layton’s Mystery Journey” is a worthy addition to a celebrated series. The game contains mature references to violent crime. The Catholic News Service classification is A-II — adults and adolescents. The Entertainment Software Rating Board rating is E-10+ — Everyone 10+.